Do you need restaurant suggestions when away from home? In our search for restaurant recommendations, there are so many options it’s hard to choose. Here are some ideas to keep in mind while hunting for places to eat. For those seeking to connect with other passionate eaters, look for opinions on ChowHound Discussions at Chow.com. Restaurant reports and food discussions abound with the latest posts answering questions message board-style about restaurants and other food-related topics all over the world. Answers range from simple establishment names to in-depth detailed paragraphs regarding ambiance, courses, service, price, location, and more. Users can hunt for items posted within the past 7 days, 12 months or by date range. If you’re craving a particular dish, Dishtip.com is another option for those visiting restaurants in the U.S. Explore a search based on one dish. Users can specify the type of course, cuisine, and price range they are looking for all throughout the U.S. Dishtip.com is a hub of restaurant reviews pulled from a variety of sources all over the internet. If you are trying to get your hands on the best cheesesteak in Philadelphia or longing for crab cakes in Maryland, this site will surely help you scout out what your appetite desires. 3. Farmer in the Dell? For those who are looking to eat organically grown, sustainably produced food where ever they go, should check out EatWellGuide.org. There you can search by keyword, zip code, or by city and state to search out restaurants, stores, farms and more. It’s a free online directory for those in the U.S. or Canada that only want to go to establishments support socially responsible farmers and food producers. There is a tab that links to a page listing global resources that are available as well. If you already have a good restaurant suggestion but don’t know what to order while at the restaurant, ask the wait staff. They usually know the ins and outs of the menu and can help tailor their suggestions based on your specific likes, dislikes, and dietary needs. They will usually know what’s popular or they can recommend what they have tried. I have never been disappointed by a recommendation. J.D. Roth Founder of Get Rich Slowly, he writes for Entrepreneur and Time Magazines and relishes the richness of life on his blog, More Than Money. I guess I’m all about the junk food, because my favorite dish is pizza. My favorite restaurants are Grimaldi’s (pizza, of course) and Finbar’s (Italian food). From Grimaldi’s I actually prefer just plain cheese, because it really lets the flavor of their sauce and crust come out without any interference from toppings. From Finbar’s I like lasagna. 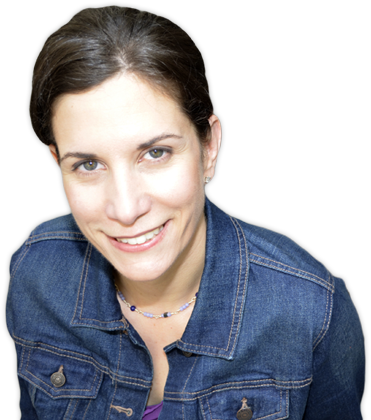 Jackie Beck is a personal finance writer and creator of Pay Off Debt App. The goal of her blog, MoneyCrush is to help you learn to love your financial life. My favorite dish is this amazing ravioli, served in white truffle sauce, from my favorite local restaurant, Le Nonne. I also like chicken marsala. Miranda Marquit has an M.S. in Journalism. She contributes to U.S. News and works as a freelance writer and blogger. Find out how to grow your money tree on her blog, Planting Money Seeds. I love the grilled lamb at Patisserie des Ambassades in Harlem, NY. They give you a lot of food for a low price. My favorite pizza place is called VEZZO Thin Crust Pizza in Manhattan on Lexington Avenue at 31 St (Midtown East). I love their chiptotle pizza. They also have a great bread pudding. Shareeke Nesi, prides herself on being a conscious spender and runs money camps for children, teaching them to develop better financial skills. My favorite restaurant is Burgers Bar (Downtown Jerusalem). My favorite dish is 300 Gram Burger with Chips (thin cut fries) and a Coke. Eric Rosenberg is a financial analyst with an MBA in Finance. His website Narrow Bridge Finance is dedicated to helping you organize and simplify your financial life. My absolute favorite dish is homemade Mac and Cheese. And my favorite restaurant is Panera Bread, I love their salads and anything breakfast! Carrie Smith is the author and creator of CarefulCents.com. She is also small business accountant and financial blogger for the Huffington Post. Since I often write about food-related topics, I couldn’t resist participating in this post. I love Eataly owned by Mario Batali, Lidia Bastianich, and Joe Bastianich on 200 5th Ave in NY, NY. When inside, pinch yourself. You’ll think you died and went to high-end, Italian grocery shop heaven. It’s a mega-market sectioned off by food groups (fresh pasta, meat, cheese, fish, and more). Each section has restaurants stations within so you can sample the food and then grocery shop. I enjoyed the mozzarella/proscuitto focaccia bread while waiting in line for the pasta section. It’s filling, affordable and tasty. The Vesuvio pasta with sweet sausage, tomato and bitter greens is incredibly delicious as well. Did you like this post? Then you should share it. that’s good karma, right? I love that I’ve been able to go to a few of these places like Pok-Pok, Vezzo, and Grimaldi’s (all 3 are awesome BTW). Lately I’ve been using Yelp to find good eats and I haven’t been disappointed yet. I only wish there were more places to eat in my area. Good tips for when I travel, I guess!